Discover London's criminal past – Lawless London provides walking tours that focus on the city's notorious history. Join us for a tour and meet the people who pushed the boundaries of the law and those who tried to police them. Lawless London provides walking tours that focus on the city’s notorious history. Join us for a tour and meet the people who pushed the boundaries of the law and those who tried to police them. In 1888 a series of horrific killings took place that were so atypical in their savagery that even in a city where crime and hardship were common, Londoners were horrified. The brutality of the murders has continued to reverberate down the centuries, yet we have largely engaged with the killings via an obsessive debate over who the murder, Jack the Ripper, was. What about the identity of Polly Nichols, Annie Chapman, Liz St ride, Catherine Eddowes and Mary Kelly? This tour uniquely focuses on the lives of the women who were murdered and the community they lived in. Whilst experiencing the atmospheric streets of the Victorian East End, you will discover that these women were not just victims; they were mothers, wives, daughters, street sellers, hop pickers, and workhouse inmates. You will hear about the difficulties these women faced and meet the wider community that both supported and failed them. On the tour you will consider whether these individuals really were ‘fallen women’ and what had put them into the path of Jack the Ripper. Finally, you will explore what the lives of these women tell us about the female experience of Victorian London. For more information about the background of the tour visit the Lawless London blog. The Policing Seven Dials tour will take you through one of Georgian London’s most violent and criminal areas. Now a vibrant and affluent area to the north of Covent Garden, Seven Dials was once home to the infamous St. Giles slum. It is an area which, perhaps uncoincidentally, was on the doorstep of London’s first detective force; The Bow Street Runners. In this tour you will meet the inhabitants of St. Giles and the men who fought to establish law and order. 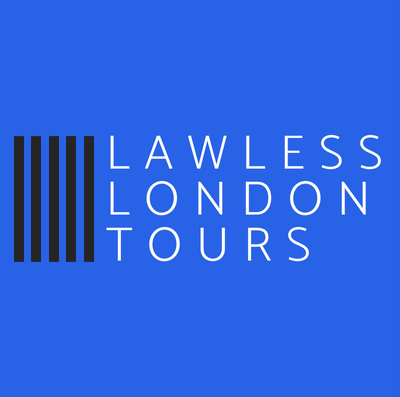 Please contact lawlesslondon.tours@gmail.com if you are interested in a private tour for a party or team day. If you would like to commission a tour on a specific topic or area of London we are able to research and develop a route to meet your requirements. Please email outlining your request.